Moringa (moringa oleifera) oil has many properties making it especially valuable in the cosmetic, health and beauty industries. The oil has excellent moisturising characteristics and is used in moisturisers and hair conditioners. It has many properties which help to keep skin and hair soft and smooth. 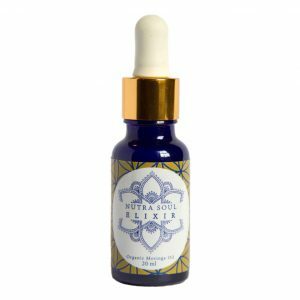 Moringa oil is full of antioxidants, vitamins, nutrients and beneficial fatty acids which protect and nourish your skin, and fight inflammation. It is high in collagen, and also high in zeatin, which has been shown to assist in stimulating skin cell health. Our oil is cold-pressed, extra virgin, 100% vegan and naturally paraben-free. The oil is liquid at room temperature (although here in Scotland it does tend to thicken…) and resists rancidity lasting for several years after it is produced. Cold-pressed oil is the highest quality, but is more expensive to produce. It goes on silky-smooth and does not feel greasy or clog up your pores. To produce one of our 20ml bottles will take about 500 moringa seeds. Take a drop or two from the supplied dropper into your fore-finger and gently apply to your freshly-cleansed face. Gently massage in. Avoid the eyes, but apply to cheeks, nose, lips, forehead. Use as an excellent nourishing conditioner. Massage into freshly-damp hair after washing, starting from the scalp and working outwards. Its also highly beneficial for the scalp, and helps to keep hair soft and smooth. Apply daily as needed to dry skin, gently massaging in. Its silky soft and a little goes a long way. It can help to minimise the appearance of scars and stretch marks. The oil can help improve and rejuvenate the appearance of aging skin. As well as a moisturiser, it is reported to help with many skin conditions and to heal wounds. It is also traditionally used for tooth abscesses and gum disease, and has been used safely for centuries. Our main use for this amazing oil, however, is due to the very high spiritual vibration it carries. As a preamble, we are both people of very high energetic-spiritual sensitivity. We feel the energy of people and places intensely, and have to take great care managing our energetic systems. We had never come across such an amazingly potent product, and it is the reason we have started this business importing the Arhuaco-produced oil and moringa powder. This special quality comes from the sacred land of the Sierra Nevada which is still unspoilt and has been home to the Arhuaco people since the Spanish arrived in South America. 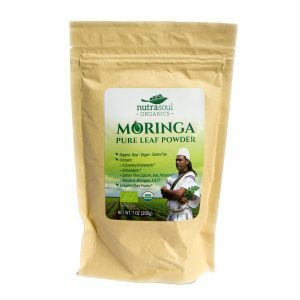 The moringa is grown and harvested by them with reverence and love for the Earth. The oil carries this beautiful, high vibration energy. We were given a single drop each, to rub between our fingers, then around the forehead. Immediately, we felt our energy lift, expand, and connect upwards. The effect was truly incredible. It really feeds the light-body. So, our personal main use for this oil is as an energetic clearing tool and meditation aid. Just taking a drop, rubbing it between the thumb and first finger, transferring to the other hand, then rubbing gently around the forehead and temples. Then, taking the time to tune in and breathe. The more reverence you have, the better. We make an energetic-clearing room spray and have added a drop of the oil to our recipe. Again, it has greatly enhanced the power of the spray. We truly find this oil to be the most effective, uplifting, energetic aid we have experienced, and we are delighted to be making it available in this country.